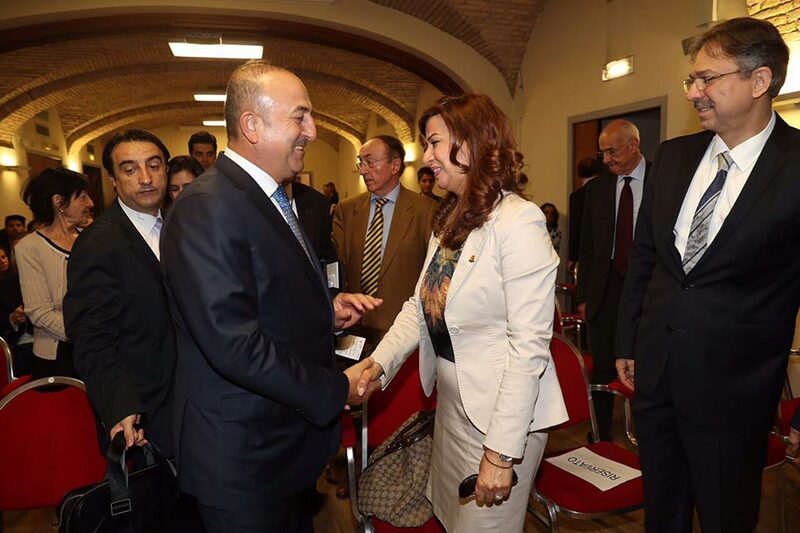 Today, a conference, organized by the International Affairs Institute, of the Turkish Foreign Affairs Minister Mevlüt Çavuşoğlu was held at the Rome Events Center in Rome. The conference was introduced by a welcome message from IAI President Ferdinando Nelli Feroci and moderated by a Turkish researcher from IAI Asli Selin Okyay. Minister Çavuşoğlu discussed Turkey's major challenges in the frame of the current geopolitical situation. Several issues have been raised, both in the speech of the Minister and the following debate, including: relations between Italy and Turkey, the question of access to the European Union, the problem of immigration and refugees, the role of NATO in the stabilization of the area, the Syrian crisis and the fight against Daesh, the relationship with the PKK, the relationship with the Kurdistan Government and Iraq and other countries such as Israel, Russia and Iran. Regarding relations with KRG, the Minister underlined the excellent relations with the Kurdistan Region of Iraq, both politically and commercially. In addition, Turkey is supporting KRG in the fight against Daesh and the only problems encountered are related to the relations between Erbil and Baghdad on financial issues and the presence of PKK on the territory. High Representatives of the Italian Parliament, Italian and foreign diplomatic officials and academics joined the conference.